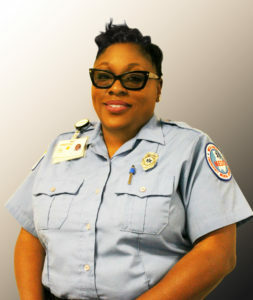 Tiffany Johnson has served at Medic for 17 years. More than just a job, Tiffany believes that EMS is her calling. A mentor to many, Tiffany’s coworker noted, “Tiffany has no problem sharing her knowledge and taking time out to help you strengthen your skills to be a better Paramedic.” Tiffany assists others during times of need, and handles difficult situations with remarkable patience and admirable tact. With seven nominations from fellow employees, selecting Tiffany Johnson as a 2017 Star of Life was a no brainer. As a Paramedic Crew Chief, Tiffany exemplifies Medic’s mission, “saving a life, hold a hand,” both on and off duty. Tiffany treats each patient like a family member; with respect and dignity, no matter the nature of the call. Former patients have asked for Tiffany because of the excellent care they received from her. Tiffany’s dedication to her community continues even when she is not on duty at Medic. In her free time, Tiffany serves with a volunteer group of women who have adopted Hunter Woods Nursing Home.